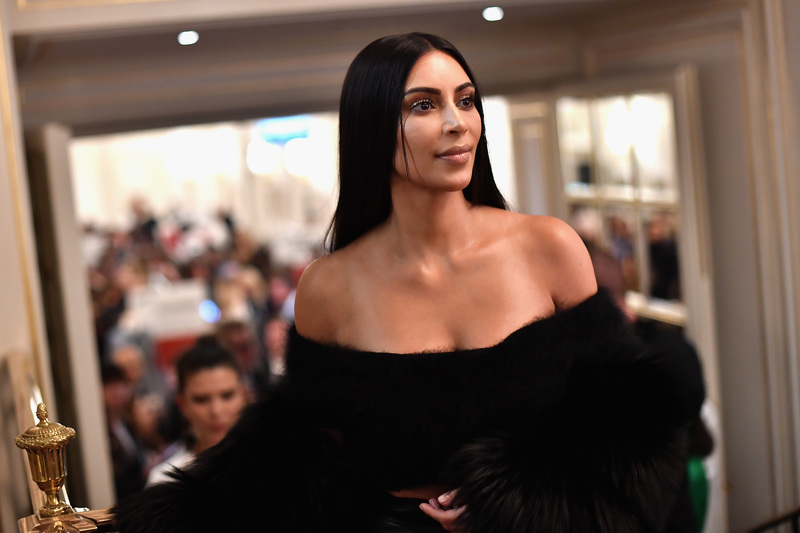 Kim Kardashian’s police interview after her robbery has been leaked and published by French newspaper Le Journal de Dimanche, and it is so scary! To recap, back in early October of 2016 Kim Kardashian was robbed at gunpoint while staying in Paris. Kim was understandably shaken, and her husband Kanye West immediately left his tour to be at her side. Kardashian reportedly heard a steps outside her apartment while she was alone at home. She called out to see who it was and no one answered. She was immediately freaked out and called her bodyguard at 2:46 am for help. Right after the call two masked men wearing police jackets broke into her room, tied her up, and demanded her engagement ring. "He pointed the weapon at me. He took the ring. He was wearing gloves. He asked me where the jewelry and money was. They grabbed me and took me to the entrance hall. I was wearing a bathrobe, naked underneath. We then went back to the room and they pushed me on the bed. That's when they tied me with plastic cables and sticky tape on the hands, then taped my mouth and legs. They carried me to my bathroom, to my bathtub to be precise." After this terrifying ordeal the attackers left, and Kim was able to free herself and call for help. Approximately 5 million dollars worth of jewelry was stolen. Since the investigation was opened the French authorities have arrested 17 people in relationship to this robbery. This account of events is totally horrifying, and we are so glad that Kim is all right, and that the police are working toward apprehending those who are responsible. This such an unbelievably scary thing and our hearts go out to the Kardashian-Wests as they deal with the aftermath of this attack.